Before cancellation, Sandhurst was designed to be more as a refuge within Las Vegas than an addition to it, Sandhurst was to be geared for professional people working in Las Vegas, those seeking a peaceful second home, or for a corporation in need of temporary residences for its executives. 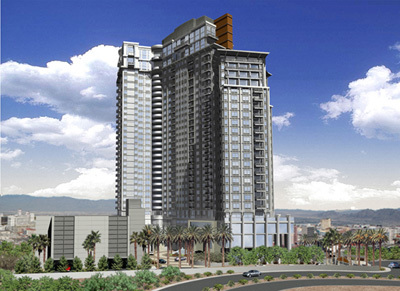 This 35-story luxury high rise had 398 units starting in the low $400,000s. Sandhurst would have been centrally located in the southeastern part of downtown, which includes the Clark County Government Center, the Premium Outlets, the World Market Center, and the Union Park development. 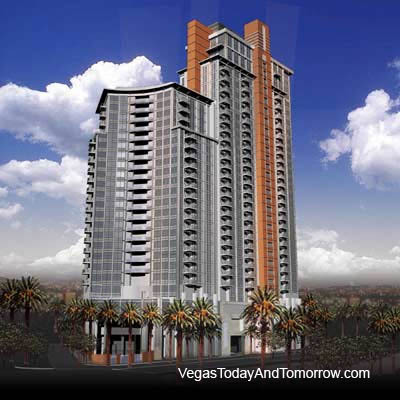 The Location also skirts the new Arts District and is conveniently close to the Medical and Professional district.